Kathleen Daley Carlos (Burlington, VT) On April 13th, Kathy took her last breath and peacefully slipped away to be with her Mother, Father and Brother. Kathy was born April 5th, 1957 in Burlington, Vermont. The family moved to Malletts Bay where Kathy attended elementary school. Kathy graduated from Winooski High School in 1975. Kathy worked in several area restaurants where she made some wonderful friendships that she cherished to this day. Kathy worked for many years at Allstate Insurance in Williston; she also worked for the Chittenden County Superior Court in Burlington. On July 17th, 1993 Kathy married the love of her life and best friend, John Carlos. After their Vermont wedding, the two moved to Rancho Cordova, California, where Kathy had a 20 year career with the United States District Court in Sacramento, California. Upon John’s retirement in 2017, he fulfilled Kathy’s dream to move back to Vermont to be closer to her Vermont family and grandchildren in Massachusetts. She leaves behind her husband of the last twenty-five years, John Carlos, of Burlington, VT, her son Christopher Barron, his wife Jenny Barron and their two children and Kathy’s beloved granddaughters Isla and Morgan Barron of Rockland, Massachusetts, She leaves behind her sister Mary Daley Lorrain and her husband Paul of Colchester, and their daughter Mora of Huntington. She leaves behind her brother-in-law, Daryl Hair of Brooklyn, NY. She also leaves behind her loving aunt, Janice Robbins of South Burlington. 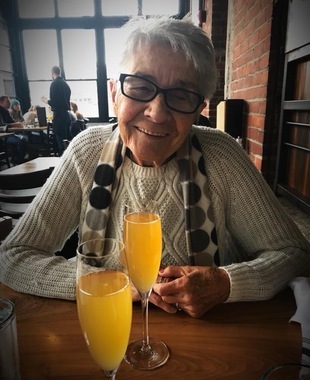 She leaves behind also brother-in-law Jerry Carlos of Spokane, Washington, sister-in-law Judy Carlacio, of Spokane, Washington, sister-in-law Jami Carlacio, husband Marty Kurth, and their son Javier, of North Haven, Connecticut. Kathy leaves numerous cousins and their families whose relationships she cherished. She leaves behind several close and dear friends in the community including Judy Barron of South Burlington, and her family. She also leaves behind dear friend Karyl Sweeney, of South Hero and her husband Bob. Kathy had a passion for sports, both on TV and the radio. Her passion followed in her father’s footsteps for the New York Yankees. While living in Sacramento, she and John became huge fans of their hometown basketball team, the Sacramento Kings. Kathy loved travel, going on cruises and trying new restaurants. She loved to “google” restaurants and hotels that her son Chris visited while traveling on business. Kathy and John had numerous loving animals in their life including Kathy’s beloved Casey. Their current dogs, Mickey and Juno will feel the loss of their “mama” Kathy. In lieu of flowers, the family is asking mourners to donate to the Humane Society of Chittenden County in South Burlington to honor Kathy’s love of dogs. A celebration of life will be held on Saturday, April 27th at 2:00 PM at the St. John’s Club in Burlington, Vermont. Please bring your stories and memories of Kathy as we celebrate her life. Arrangements are in the care of Champlain Cremation. Muriel J. (Rouille) Limoge, 86, passed away peacefully at Birchwood Terrace in Burlington, VT on Thursday, March 22, 2019. Muriel was born in Burlington, on September 7, 1932. She was the oldest daughter of Wilfred and Daisy Rouille. She loved spending weekends with her family by the river in Fairfax on picnics or fishing. Muriel and her husband enjoyed camping for a few weeks during the summer at Pelot’s Bay with her brother, Lemuel and his family in North Hero. Some of her favorite hobbies were dancing, berry picking, backyard maple sugaring, puzzles, playing board games and spending time with her grandchldren. Muriel looked forward to camping trips, traveling and time with family. She started her career at the Hotel Vermont as a chamber maid where she met her husband, Emile Limoge. Emile and Muriel were married on January 20, 1951 and spent 67 years together. Muriel worked for several drycleaning establishments in Chittenden County. Many may remember Muriel from her days at New York Cleaners, Greer’s Drycleaners, Paul’s Towne Cleaners and later retired from Gadue’s Drycleaning. She was well-liked the customers. Muriel had a way with resolving cleaning problems and always went the extra mile to make sure a bride had her gown on time for the wedding. Muriel is survived by her 3 children, June M. Potvin, of Monkton, VT, Emile (Buster) W. Limoge (wife Brenda) of Tellico Plains, TN and Brenda C. Kelley (husband Ricky) of Fletcher, VT. Muriel has 8 grandchildren: Stephanie, Melissa, Brandi, Lindsay, Adam, Necole, Heather and Crystal as well as 15 great grandchildren and 2 great, great grandchildren. Muriel is also survived by two siblings, John Rouille of Burlington, VT and Marlene Quenneville, of Colchester, VT; sister-in-laws, Dorothy Hudson, of Methuen, MA and Claire Macey, of Morrisonville, NY. She was predeceased by her parents Wilfred and Daisy Rouille, 6 siblings Wilfred (Jr), Gilbert, Lemuel, Sandra, Helen and Ann; as well as 2 brother-in-laws and a sister-in-law, Raymond Limoges, Raymond Blow and Lorraine Blow. The family would like to thank Dr. Zail Berry, Dr. Lynn Wilkinson as well as the entire staff of Birchwood Terrace and Bayada Hospice for the care, support and comfort they provided to our mother. A burial service will take place on Friday, May 3, 2019, 11am, at St. Albans Bay Cemetery located on lower Lake Street, St. Albans Bay, Vermont. 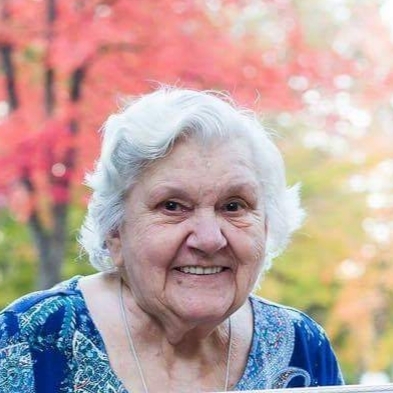 Following the burial there will be a celebration of Muriel’s life at the American Legion Post 1, 100 Parah Dr., St. Albans City, VT.
Betty Ann Poplawski,69, passed away on March 5, 2019. Betty Ann aka BA was a fixture in the city of Winooski for nearly 70 years. She was loved by everyone who knew her. Mom didn’t have one enemy, thats the kind of person she was. She is survived by her son Mike Poplawski, granddaughter Kelsie Jo Poplawski, sisters Nancy LaVigne, Linda, Ann, Brenda and Tammy, brother Frank Greenough. My mom is going to a better place to be with Meme - her mother Doris Greenough and her brother Raymond Greenough, Jr.
A Celebration of her wonderful life will be held on March 16 at 2:00 PM at the VFW Post 1767 in Winooski. 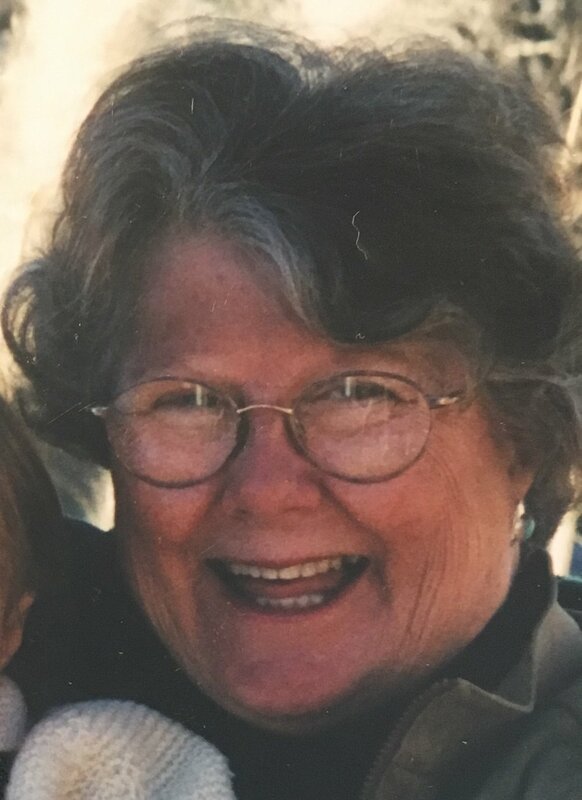 Judy Belle Jewell Saurman Kelly passed away on February 11, 2019 with her husband Bill Kelly, son David Saurman, and daughter Ann Simon at her side. She was telling stories and entertaining those around her like she loved to do. Her early days in Detroit, Michigan shaped her love of radio, news, and broadcast television. After moving to Evanston, IL and attending Northwestern University, Judy worked for NBC in downtown Chicago. There she met and married Ken Saurman where they developed a community of politically-involved Chicagoans, painters, and writers. In 1970 she and Ken moved their young family to Vermont and a new life began. Judy worked at the Shelburne Middle School for 25 years as the art teacher! She loved being a teacher, working from the Craft School and developing her own art. In 1978 she co-produced a book of marbled paper with her friend Judith Pierce that sold at the Smithsonian. Ken Saurman died in 1980 and once again Judy had to pivot. Judy started Educational Travel Service with her dear friend Tim Kahn. She met Bill Kelly and in 1984 married him. For the next 35 years their lives were full of adventure and travel that took them from Central America to Southern Africa. The culmination of her years in Africa she documented in letters to her friends that became her book, Where the Tar Road Ends. Judy was an avid reader, attending book group once a month, and an artist. She was in a craft group that met regularly and a painting group, the Monet Mamas, that met faithfully every Wednesday for many years. Judy loved meeting new people, colorful people, but most especially her people--her beloved friends and family. If there weren't people in her sunroom every day, she'd go out and meet them. From city politics, to community arts, to immigrant families who just needed a friend, Judy was all in. Judy was a Justice of the Peace, served on the Tibetan Resettlement Board, was a long-time board member of Burlington City Arts, and engaged in many other civic and non-profit organizations. We will miss Judy's story- telling, her embellishments, and her loyalty. Please join us as we celebrate Judy's life on May 4th at 2pm at All Souls Interfaith Gathering, 291 Bostwick Farm Road, Shelburne, VT.
Andrew Michael Bissonnette, affectionately known as “Drewbird,” passed away and joined his brother Dave on January 30th, 2019. Drew will be missed by all who knew and loved him. Drew is survived by his mother, Paula Kolich-Dusablon; Father, David Bissonnette and his fiancé, Darleen Hubacher; his siblings Benjamin and Zachary Bissonnette (Amanda Schroth), Meaghan and Molly Kolich, Step-father, Thomas Kolich; Grandfather, Richard Dusablon; his nieces and nephews; as well as many aunts, uncles, cousins, and friends. He is predeceased by his brother, David L. Bissonnette, Grandparents Leo & Yvonne Bissonnette, Grandmother Pauline Dusablon. There will be a Celebration of Life on Friday, February 8th, at 3 p.m. at the VFW, located at 6 Maple Street, Winooski. In lieu of flowers, contributions may be made to COTS, 179 So. Winooski Ave., Burlington, VT 05401. Charles “Chuck” Thomas West was born in Haverford, Pennsylvania on November 16, 1959. He attended New England College with the goal of becoming an elementary school teacher but left school early to join the U. S. Marines Corps. He served from 1981 to 1988 as Aviation Ordnance. After the service he moved to New York City to help out a cousin. While there he worked in a bike shop and for Con Edison. In 1991 he married Phyllis Newbeck and they moved to Jericho in 1995. In 2006 he married Laurie Dague and they moved to North Carolina for 10 years but returned to Vermont because he missed the mountains. 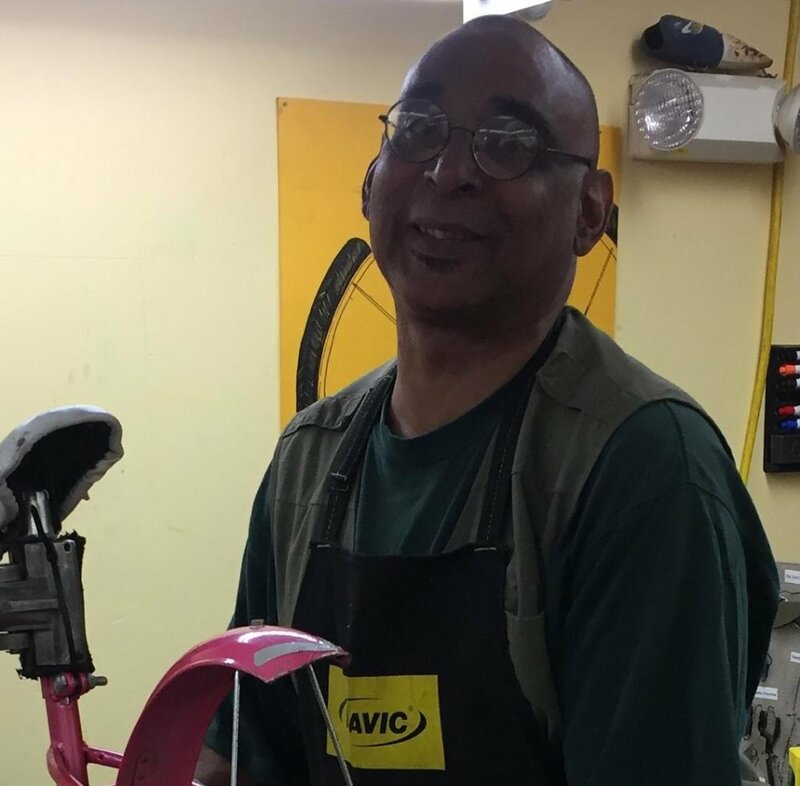 Chuck was the first full-time black (a term he preferred to African-American) ski instructor at Smugglers’ Notch and then their first full-time black ski patrol member, working part-time at Ski Rack and Old Spokes Home fixing bikes for their Everybody Bikes programs. Chuck was an avid road cyclist, skier and speedskater, but injuries hobbled him in recent years. He participated and volunteered with Vermont Adaptive Ski and Sports Veterans Ventures program in Vermont and was often seen in the winter months at Bolton Valley Ski area sharing his passion of the outdoors with his peer recovery group of fellow veterans. Arrangements are with Champlain Cremation. Known for his big heart and ready smile, David DeCosta of Burlington, VT passed away unexpectantly from a heart attack on January 24. He was 31 years of age. He is the son of Mary Lou DeCosta of Colchester, VT and Ronald DeCosta of Utica, NY. He is survived by his sister, Elaine Day of DeFuniak Springs, FL, his aunts and uncles, and several cousins. Grandparents are Jack and the late Marge Authelet of Foxboro, MA. and Ronald and the late Mary Madeline DeCosta of North Dighton, MA. On January 27, 2019 at 07:30 am our mother Janet Parker passed away surrounded by her children. She was born at home on North Avenue in Burlington, VT, and anyone who was ever in the car with her driving down North Avenue you will know exactly which house it is. She grew up in Burlington and graduated from cathedral high school in 1950. She was loved by so many including her best friend sully who was by her side at every moment. We thank god every day that We had her as a mother. And even though our hearts are broken we find comfort in knowing that she went to heaven being greeted by family, hopefully with a glass of wine. May the sky always be sunny and warm mom. We love you. Donation in her name to all breeds rescue. In honor of mom’s wishes there will be no funeral but instead a celebration of her life. Emile J. Limoge, Jr., 87, known as Junior to his family, peacefully passed away at Birchwood Terrace in Burlington, Thursday, September 27, 2018 with his wife of 67 years by his side. He formerly lived in Winooski, Hinesburg and St. Albans, VT.
Emile was born at home in Winooski on January 1, 1931. The first baby of the New Year in Vermont. Emile left school after 8th grade to work to help support his family. He had several jobs but one he spoke often of was being a bellhop at the Hotel Vermont. He would work between the Hotel Vermont and the Van Ness Hotel when the Van Ness were short staffed. At the Hotel Vermont, Emile met the love of his life, Muriel J. Rouille. They were both employed by the hotel and were married January 20, 1951. Emile honorable served his country in the US Air Force and was part of the 74th Fighter Interceptor Squadron. Emile spent a year stationed overseas in Thule, Greenland as an aircraft mechanic on the P51 Mustang during the Korean War Era. Through his year in Greenland, he gained status through the US Air Force as a ”Brother Blue Nose” by the Order of the Knights of The Blue Nose for his tenure residing above the Arctic Circle. After the military, Emile was employed by Vermont Transit Bus Company as a diesel mechanic where he worked for 36 years prior to retiring to enjoy life with his wife. Emile loved to spend time with his family and friends. He enjoyed seeing new places, boating, hunting, camping and always was one for a joke or a silly antic to make you laugh. He loved to meet and talk with people. He was a social butterfly! He is survived by his wife, Muriel J Limoge and his 3 children, June M Potvin, of Monkton, VT, Emile (Buster) W Limoge (and his wife Brenda) of Tellico Plains, TN and Brenda C Kelley ( and her husband Ricky) of Fletcher, VT. Emile has 8 grandchildren who love him dearly: Stephanie, Melissa, Brandi Lindsay, Adam, Necole, Heather and Crystal as well as 15 great grandchildren and 2 great, great grandchildren, many nieces, nephews and cousins. Emile is also survived by his oldest sister, Dorothy Hudson, of Methuen, MA and youngest sister, Claire Macey, of Morrisonville, NY. He was predeceased by his parents Emile, Sr and Yvonne Limoges, a younger brother and sister, Raymond Limoges and Lorraine Blow. The family would like to thank Dr. Zail Berry and Dr. Lynn Wilkinson as well as the entire staff of Birchwood Terrace for the care, support and comfort they provided to our father while he resided with them for the last 14 months. A burial service will take place on Monday, October 22, 2018, 11am, at St. Albans Bay Cemetery located on lower Lake Street, St. Albans Bay, Vermont. Following the burial there will be a celebration of Emile’s life at the American Legion Post 1 where he was a member, 100 Parah Dr., St. Albans City, VT. In lieu of flowers, please consider a donation in Emile’s memory to the Alzheimer Association (www.alz.org). Pamela J. Thurber, 58 of Milton VT; lost her battle with Cancer on June 26, 2018 at UVM Medical Center surrounded by her loved ones. Pamela was a loving Life Partner, Mother, Grandmother, Great Grandmother, Sister and Friend. She will be missed Dearly by all who knew her! We will be having a “Celebration of Life” for Pamela on July 14, 2018 from 2pm - 4pm at 13195 Route 116, Hinesburg, VT 05461. All are welcome to come Celebrate! Tina Marie (Murray) Doyle, 52, of Burlington, passed away peacefully on April 16, 2018 after a long battle with leukemia. Born on March 18, 1966, she was the daughter of Perley Murray Jr and Rena Jones. Tina's greatest joy was her relationship with her grandson Julian and daughter Alyssa. Tina is survived by her grandson Julian, Alyssa Doyle and Benjamin Conroy, sisters Mary and husband John Rouille, Penny and husband William Lebeau, two brothers Perley Murray, III, and Leslie Shaw, Rene and wife Joan Murray and several nieces and nephews. She was predeceased by Grandma and Grandpa and one sister, Mary Ann Gadue. There will be a gathering of family and friends at the Essex Alliance Church, 37 Old Stage Rd, Essex to celebrate Tina's life, from 3:00 to 7:00 on Friday, April 27th. Arrangements are in the care of Champlain Cremation Service, www.champlaincremation.com. Donald J. “Donnie” Gordon passed away on March 14, 2018. He worked for many years as a painter and carpenter. Left to cherish his memory are his daughter Taylor Lin Crowl, sisters Brenda Wells and Michelle Lamphere, brothers Micheal Gordon and David Richard, and extended family. He was predeceased by his mother Mary Gordon, and two brothers Jay and Ronnie Gordon. A burial will be held at a later date. Arrangements are with Champlain Cremation, www.champlaincremation.com. Diane M. Gallup, 61, passed away peacefully with loving family at her side on December 30, 2017 at the Respite House in Colchester. She was born in St. Albans, VT on November 9, 1956 to the late Ross & Martha (Campeau) Gallup. She graduated from Burlington High School and lived for many years in Winooski, VT.
Diane loved spending time with her family, especially her children and grandchildren. Some of her many hobbies include crocheting, playing cards and spending endless hours on jigsaw puzzles. She thoroughly enjoyed spending time with her cat, Chill, who was at her side to the end. She is survived by her daughter, Melissa and her children, and her son, Ricky and his children. Along with her stepmom, Janet Gallup, she is also survived by her siblings, Ann (Bob) Thomas, Nancy Gallup, Lisa (Steve) Peck, Mary (Al) Krebser, Susan (John) Mailhotte, Linda Baillargeon, Michael Milo and Laurie (Bob) L’Ecuyer. She leaves behind several aunts, uncles, cousins and friends, all of whom will miss her smile, especially her cousin, Linda DelPrete and her special friend, Richard. Aside from her parents, she was predeceased by her longtime partner, Rick Shuler. Her heart was broken when her son, Shane Shuler, predeceased her in May, 2007. A Celebration of Diane’s life will be held on Saturday, January 27th from 11 – 2 at the VFW, 6 Maple Street, Winooski, VT, where all are welcome to share memories of Diane. A private burial will be held later in the spring.